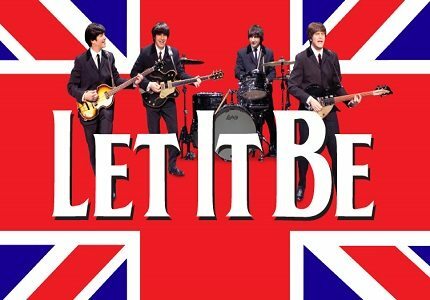 Let It Be is now playing at the Garrick Theatre. The production was created and conceived by Rain, the biggest Beatles tribute band in the world, and was originally designed as a tribute concert to mark the Beatles 50th anniversary since their formation in 1962. 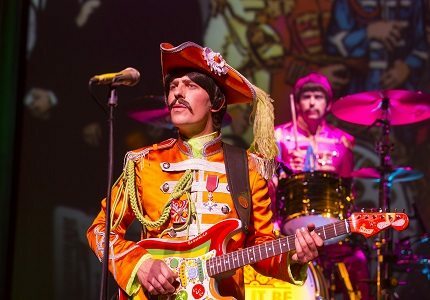 The production is unlike some jukebox musicals in that it does not have a story-line and is really just a musical romp through the Beatles back catalogue. However there are some on stage projections of the Beatles success, for example scenes of the Liverpudlian foursome being mobbed by teenage girls. In some ways this makes Let It Be almost a celebratory history lesson of the Beatles legacy. The show is delivered in a concert style, with ushers walking up and down the aisles selling alcohol. Audience members are welcome to sing along and even stand up and wave during the curtain call. Let it Be really channels the essence of the late John Lennon, Paul McCartney, Ringo Star and George Harrison in their heyday. 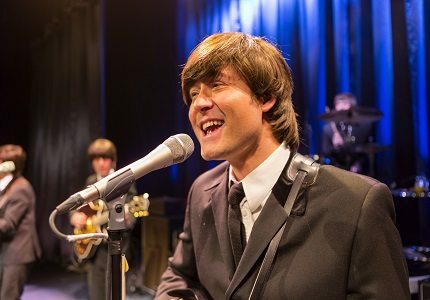 Fans of the Beatles will love the show, as will those who love a good live performance of rock n roll music. Let it Be is an entirely family friendly show. Children who love live music will love the show. Please note that children under the age of five are not allowed in the Savoy Theatre auditorium.